In addition to raindrops on roses and whiskers on kittens, there are a handful of things I found to be especially delightful in 2013! After spending a good long while pondering on the beauty, perfume, and skincare products I've used this past year, I've compiled a list of the ones that really came through for me in a big way. Without further ado, I'm excited to present A few of my favorite things (thirteen to be exact) from 2013! My favorite part of receiving new glossies are seeing the covers; they really set the tone for the entire magazine! My favorite cover this year had to be SJP on the cover of Harper's Bazaar (though the Southwest cover came close). I surmise the headdress was a nod to her attire at the Punk-themed Met Gala this year, which was one of my favorite fashion moments of 2013! 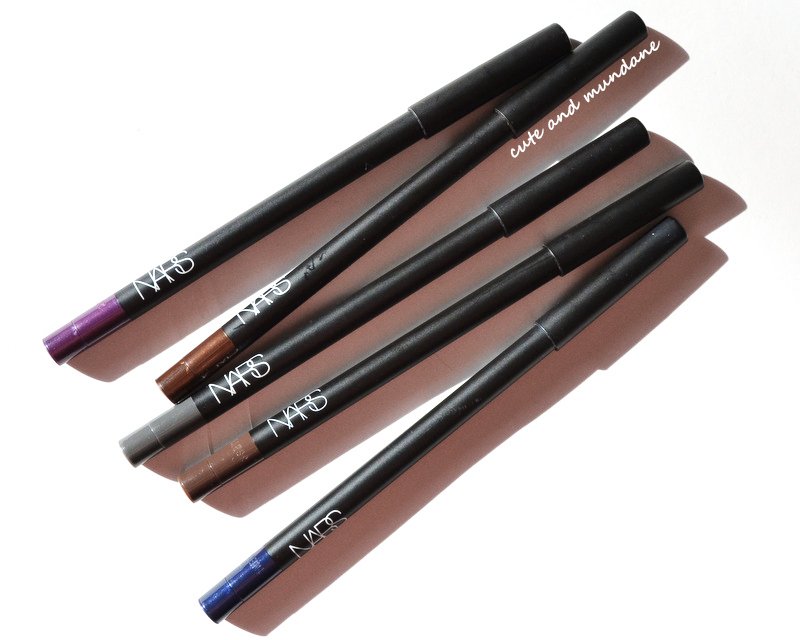 Though I've recently reverted back to my liquid liner ways, the NARS Larger Than Life pencils were my major workhorses this year, especially Via Appia and Via de Martelli (reviewed here). They have great lasting power, however they do tend to dry/tug over time. It was a worthwhile tradeoff for busy days without much me-time! 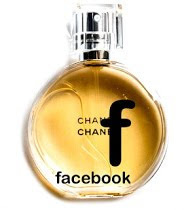 This, hands down, has to be my favorite personal perfume purchase of the year. This ethereal lemon-y green bouquet has serious signature scent potential (good thing I got the 2.9 oz bottle!). I've become quite the Hermès fragrance devotee. I can't wait to see what Jean Claude Ellena whips up this year! 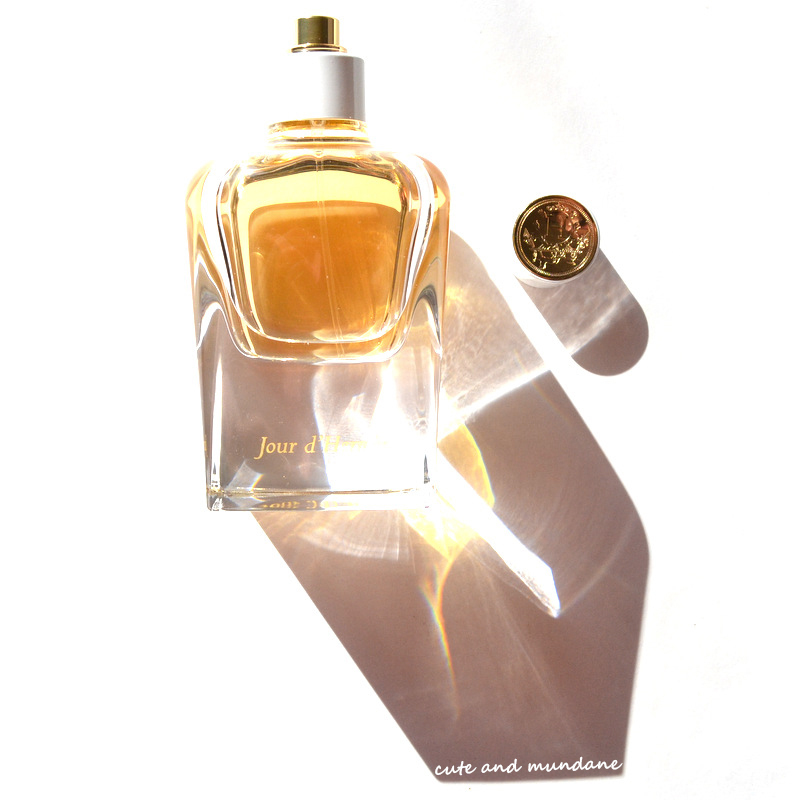 I love, love, love Hermès perfumes, especially Jour de Hermès! I remember the first time I saw JCL speak on a BBC perfume clip. It was before I even knew who he was or had ever caught a whiff of his work. His scientifically exacting, yet artistically oriented approach to perfume left a lasting impression on me. 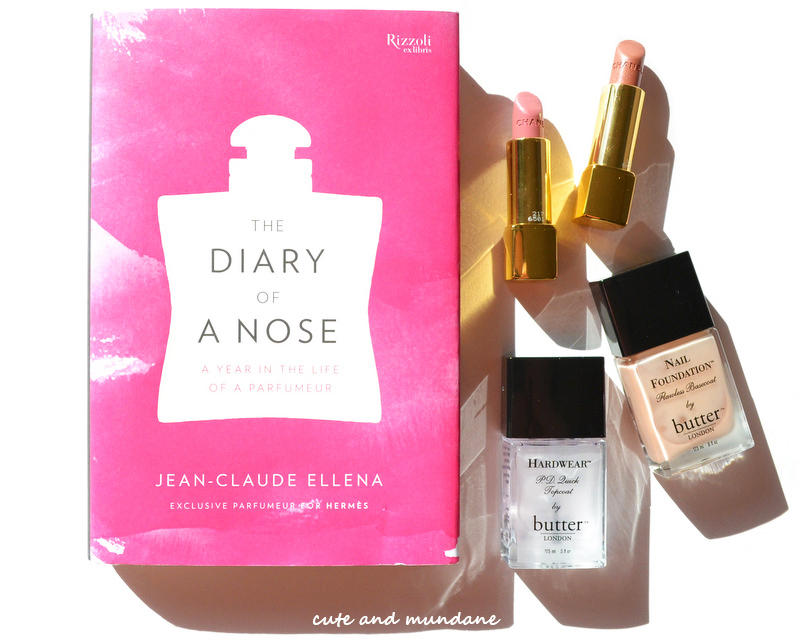 I've been thumbing through a few perfume reads this year (see here for my recs), and I have to say those that I enjoyed most were his Perfume: The Alchemy of Scent and Diary of a Nose. The former is a bit dry and technical, while the latter has more of a diary format. While I personally loved them, I should mention that they'd probably appeal more to folks who prefer scientific structure over well-woven narratives. 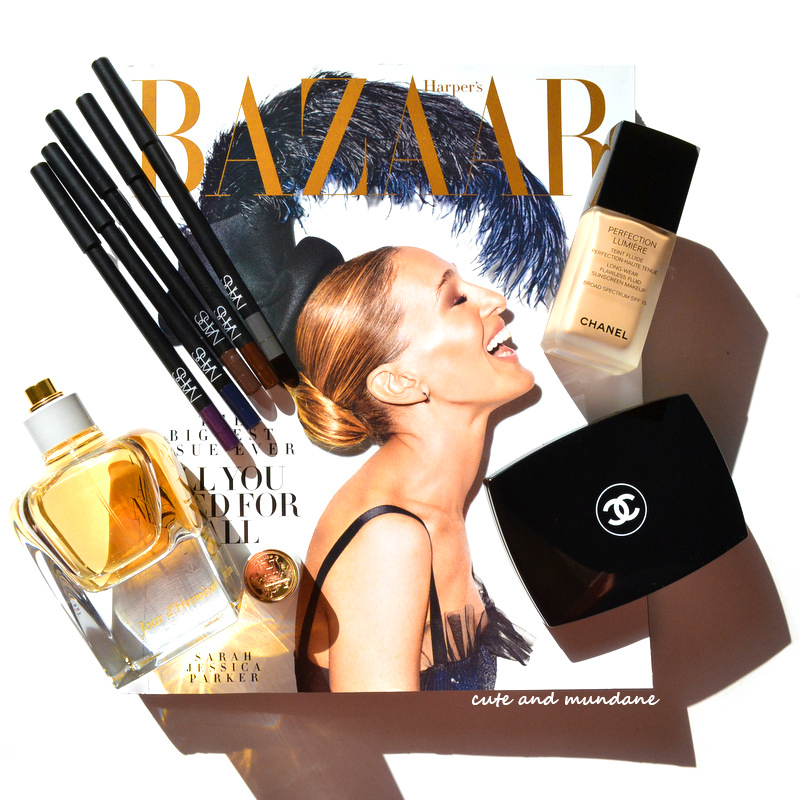 This year, my heart was with CHANEL Beauté. 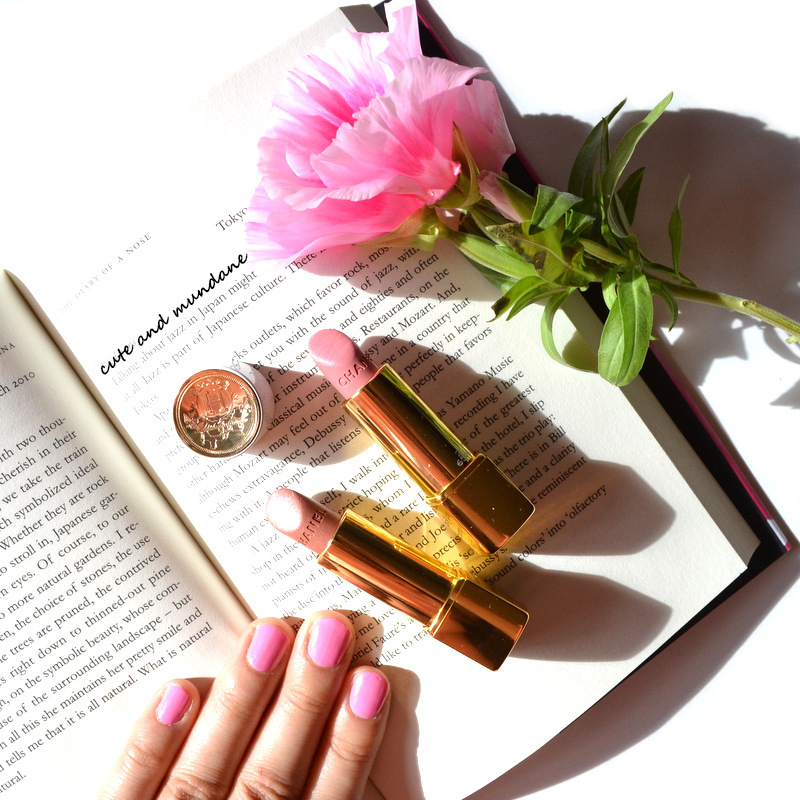 The two carefully curated colors I added to my collection were CHANEL Radieuse (reviewed here) and CHANEL Indécise (reviewed here). There's nothing like a great basic lippie to add new life to your routine! These two should get props for being the only press samples that made it into my list! Even after my initial review of Butter London Nail Foundation and Hardwear Topcoat, I found myself reaching for them time and time again. They dry quickly and are easy to use. The generous sizes (they're larger than Butter London's polishes) were really nice too. The truth about naturally wavy hair: it's overrated. With careful styling it might look great for a minute, before devolving into a frizzy mess (and then the dreaded triangle-head). Last year, I went for a more 'natural-to-me' effect with a few passes of a curling iron to tame the frizz. This year, I went for simply straight, and I couldn't be happier. My ghd is so easy to use and has quite literally made every day a good hair day. I think straight fits my minimalist aesthetic better, anyway. 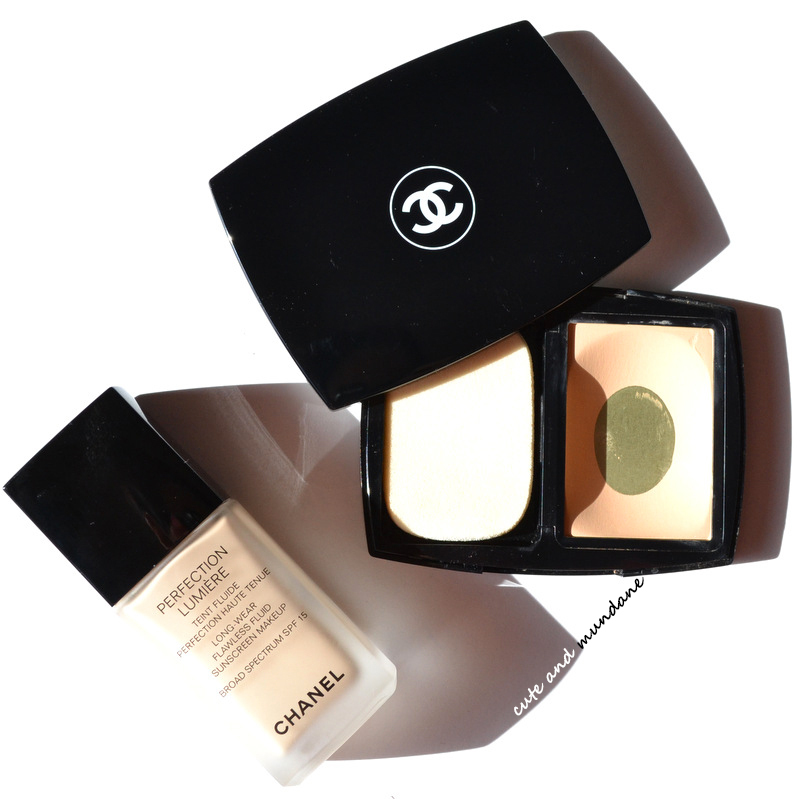 CHANEL compacts aren't supposed to separate into two pieces (but I still love mine anyway)! As you can see, I loved my CHANEL Double Perfection Lumière compact to pieces, quite literally. While I can't say much for durability of packaging, the stuff inside was great; I used it every day for months! I recently restocked with CHANEL Perfection Lumière (reviewed here), the liquid foundation, which I'm already loving again. It's been a CHANEL foundation year for me, as I've found it's the only brand that doesn't irritate my super-sensitive skin. I was ecstatic when MAC came to its senses and reduced the exorbitantly expensive prices on their new customizable palettes. They're bulky, but I like the see-through window so I can view all the colors within. I really rediscovered my love for MAC eyeshadows this year. I'm very particular about my color combinations, so I've realized that premade quads aren't for me. I love the versatility that MAC custom quads provide. 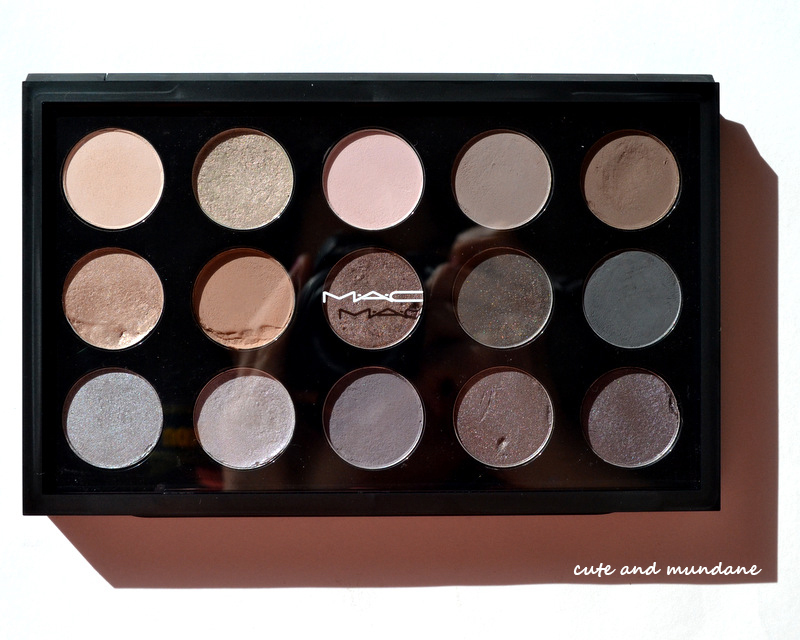 I've filled my new MAC 15-pan with my MAC neutrals. 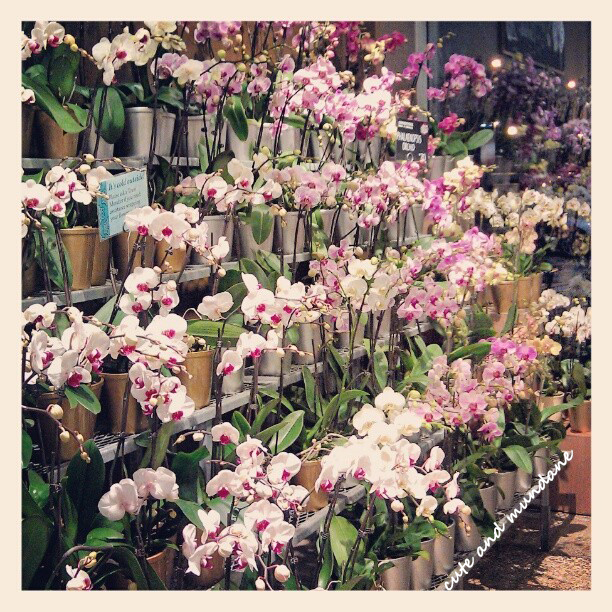 I need to pick up another one for my brights! I learned about this gem from working in clinics. It's a skincare staple for those with eczema and truly sensitive skin. As someone who fits squarely in that category, I carry around a tube at all times. It's great on lips and hands, and shines pretty much anytime your skin needs a strong barrier against the elements (think Chicago winter). Just too cute. Loved the movie and had to get my own minions. I actually got my Clarisonic Mia 2 a while ago, back when it was a relatively new model. However, I didn't end up using it much until this year. Once I discovered how sensitive my skin was to even simple skincare products, I cut back as much as possible, including on scrubs and exfoliants. I've been relying on Clarisonic instead, and I've been quite pleased with the results! Who can't use a minion or two...? 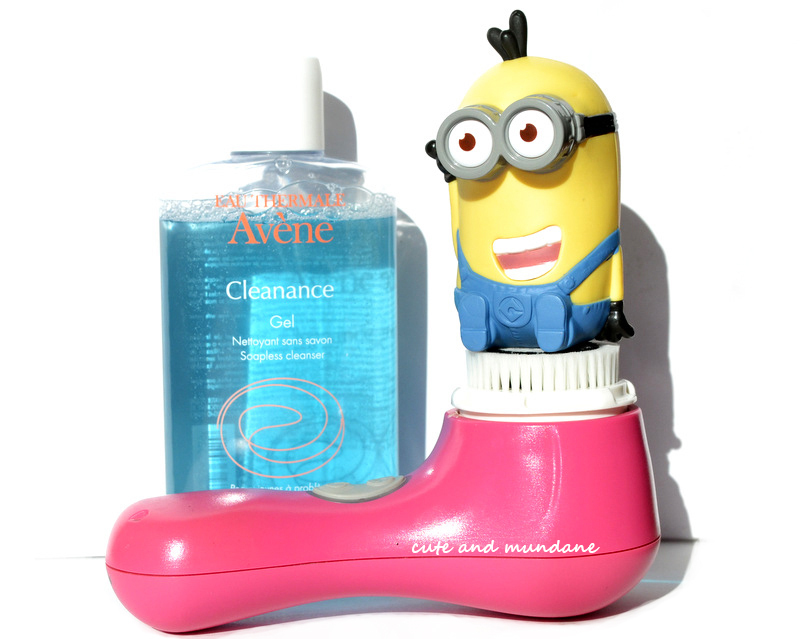 I've mentioned once or twice (probably more) how much I love Avène products, especially the Avène Cleanance Cleanser (reviewed here). I make it a point to pick up a little Avène whenever I'm in NYC. (It's available in Chicago too, but to a more limited extent). The French skincare brand is a lifesaver for those with a list of ingredient sensitivities like me. I hope you enjoyed the year's list of A few of my favorite things. I feel like I've settled into a good routine to start off the year --- but there are always new products to be tried and improvements to be made. 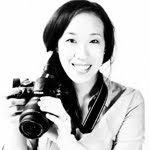 I'm looking forward to seeing what makes it into my A few of my favorite things series at the end of 2014! Thanks for reading! Did we have any favorites in common? What brands or products did you love this year? Do you have any product recs for me? Today I have the scoop on a cool collaboration between Kiehl's and Alicia Keys : a limited edition 1oz. 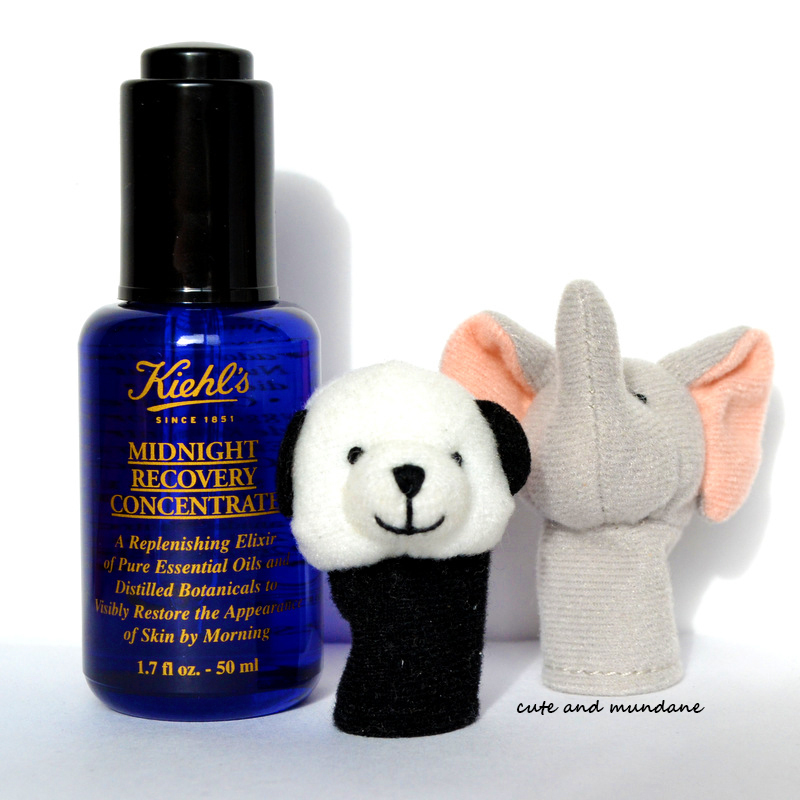 bottle of Kiehl's Midnight Recovery Concentrate! As a longtime fan of Ms. Keys (Songs in A-Minor was a staple in my early CD collection), I already pretty excited; however I was even more so after learning that one hundred percent of net profits (up to $200,000) will go towards Alicia Keys' Keep A Child Alive Foundation, which supports children and families in Africa, affected by HIV. It's an incredibly meaningful cause. If you follow me on Twitter or Instagram, you've probably seen that I've been testing a bottle of Kiehl's Midnight Recovery concentrate all this week, courtesy of Kiehl's. (I have the regular bottle, however check out the limited packaging here on Kiehls.com). The concentrate is a blend of light essential oils; usually I take three drops and pat them onto my skin. The result is a nice, hydrated look that I've been enjoying in the cold Chicago weather. I can see why the concentrate is a favorite amongst skincare enthusiasts! The bottom line? Whether you're looking to replenish an old favorite, or you're waiting for a reason to jump, it's a great time to check out the Alicia Keys 'Keep A Child Alive' limited edition bottle Kiehl's Midnight Recovery Concentrate, available online and in Kiehl's boutiques. Thanks for reading! Are you a fan of the Midnight Recovery concentrate? What are your favorite Kiehl's products? 'Tis the season for sparkle and shine, whether from twinkling snowflakes skirting windy drifts, or colorful fluttering confetti heralding the New Year in Times Square. It's the perfect time to add a little twinkle to the 'tips, no? With this in mind, I've been experimenting with Essie Jazzy Jubilant and Essie Sparkle on Top, courtesy of Essie. 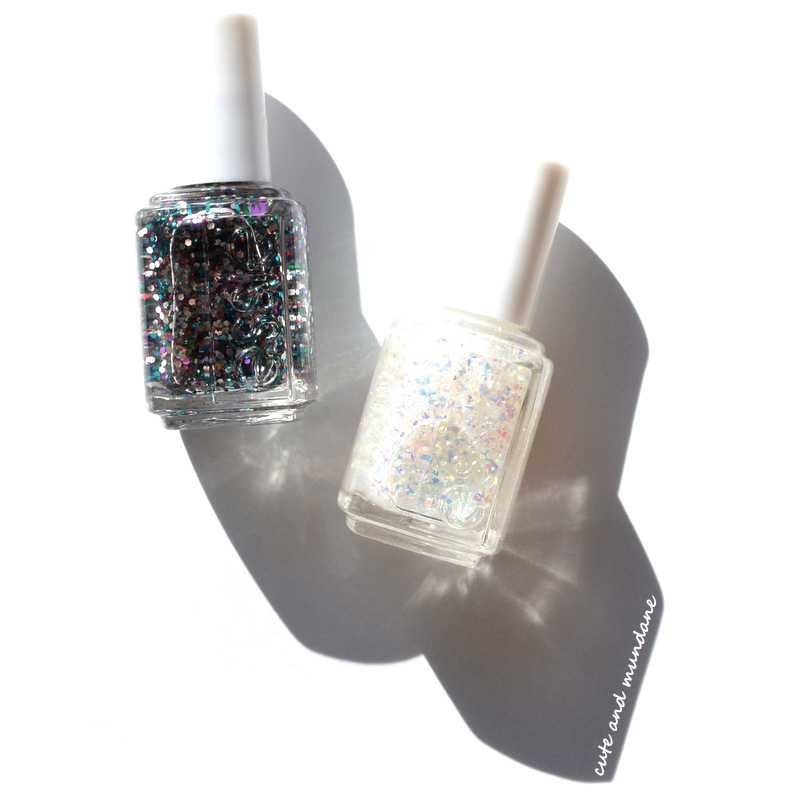 These two glittering topcoats are the newest additions to the Essie luxeffects collection! As its moniker suggests, Essie Jazzy Jubilant is a celebration in itself! Multicolor glitter in electric blue, orchid, silver, and cherry fills this confetti-like concoction. Three different sizes of glitter give the top coat nice variation and depth. 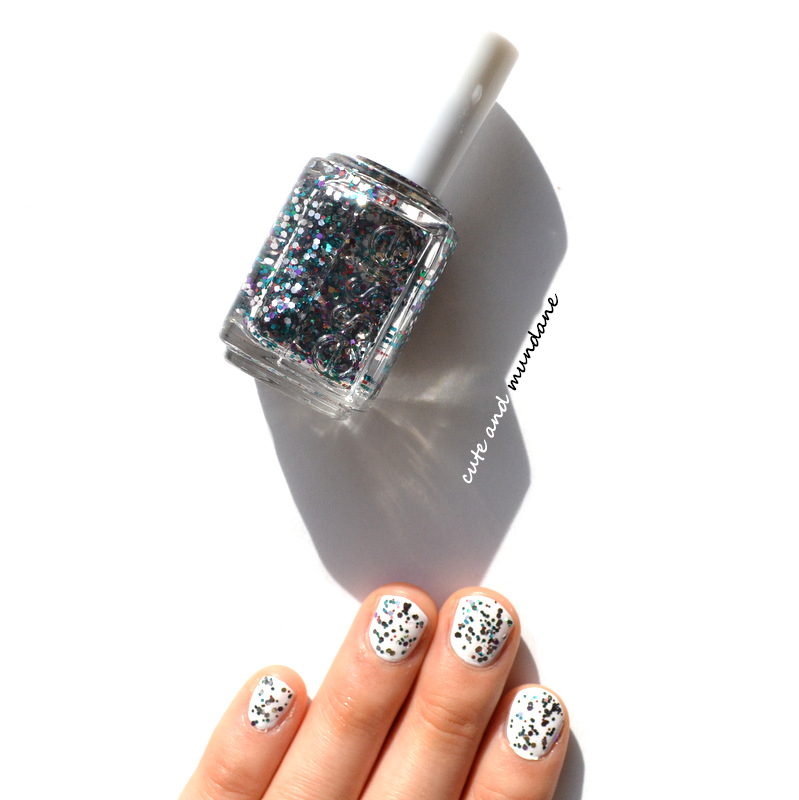 Essie Sparkle on Top is filled with iridescent, luminescent flakes that brush on to give it an ice-crystal effect. The iridescence leans cool, flashing in pink, blue, and purple spectra. The formula is thicker, as there are quite a few flakes packed in! When it comes to showcasing glitter, there's nothing I like more than starting on a winter-white base. I've made my comparison swatches atop Essie Blanc. 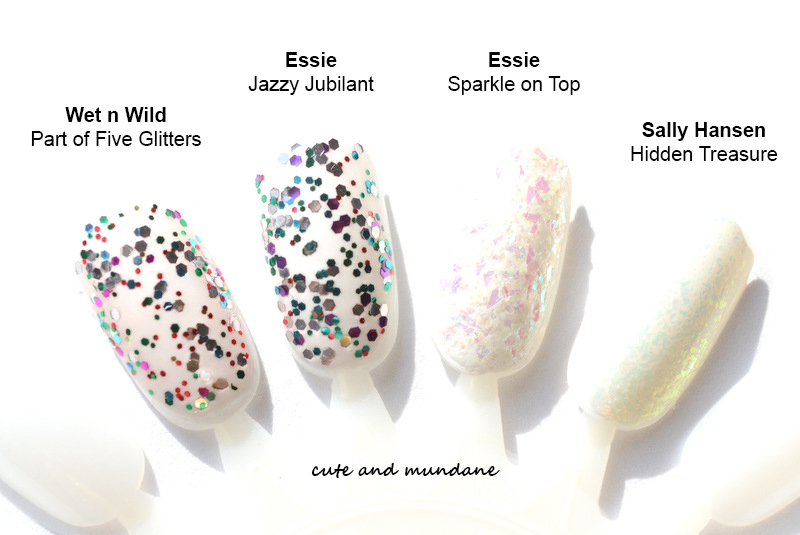 I was surprised to see that Essie Jazzy Jubilant is quite similar to Wet n Wild Party of Five Glitters. Both have a comparable variety of glitter sizes and colors. I'd say Essie Jazzy Jubilant contains a greater percentage of large glitter, and has more of a Mardi-Gras flavor from its greater emphasis on green/purple rather than red/pink. I was quite keen to compare Essie Sparkle on Top to Sally Hansen Hidden Treasure (a well known flaky shade from back in the day). The former had much larger and visible chunks of flakes giving it a geometric icicle-like effect. The latter has smaller, more uniform flakes. Essie Sparkle on Top flashes more purple, while Sally Hansen Hidden Treasure flashes more pink in a green base (Though I'm not sure if it was always greenish; it might be from natural color deterioration over time). Though I'm usually a creme polish person, it's fun to have some sparkly options in my collection! Essie Jazzy Jubilant is a very festive confetti, perfect for the new year (or even Mardi Gras, if you're looking ahead). I'm actually quite fond of the large icicle-like flakes in Essie Sparkle on Top. Over white, they make a nice crystalline effect that matches the snowy season. Thanks for reading! What shades of sparkle are you wearing on your tips this season? Do you prefer glitter or flakes? I rarely spring for palettes. Despite being a beauty lover, I try to keep things minimal - which means going for carefully curated singles over collections of colors I don't feel particularly strongly about. It seems that the Urban Decay NAKED series is an exception to my rule, as I now own all three! That said, I did think carefully before picking up Urban Decay NAKED 3 - after all, did I really need another neutral palette? Ultimately I gave this rosy/ mauve neutral palette a go for two reasons. First, neutrals with hints of mauve pink tend to look more natural on me, matching my skin's undertones. Second, neutrals are considered 'classics', but they're really subject to trend as much as your typical colors. Warm golden shades a la the original Urban Decay NAKED are out, while mauve pinks are currently in. To me, the textured rosy metal casing looks like wave-rippled oceanside sand! The closure and hinge mechanisms are plastic, which initially made me worry about the possibility of breakage. However, my NAKED 2 palette (which has the same construction) has yet to break, so these fears are, so far, unfounded. The palette comes with a double ended cruelty-free brush, which I definitely prefer over their pencils. One end is a fluffy shadow brush and the other is a smaller flat paddle. Overall, I find that Urban Decay brushes work well with their products. The light-handedness of a synthetic bristle brush is good when working with highly pigmented shadows. I'm a fan of the general organization of shades from light to dark, which wasn't the case in the past NAKEDs. The inclusion of more matte shades, including a base white, is much appreciated too! I've written more detailed thoughts on each shade below. I like to dust a matte white/cream tone all over my lids as a brightening base, so I was happy to see Urban Decay Strange included in the palette. It has an ever-so-slight satin sheen, which is fine by me. The next three are light and lean a bit peachy. To be honest, I'll probably get less use from them as I don't usually go for light peachy shades. Urban Decay Dust, was unfortunately a bit dusty for me (per its namesake). It's a pale peachy pink shimmer. Urban Decay Burnout is a slightly richer peach shade with considerable sheen. I found Urban Decay Limit to be a great matte kid, however, it's almost invisible on my skin. I'll probably use it to soften lines. Urban Decay Buzz is an unexpected favorite of mine. 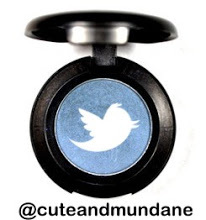 At first I thought it had poor pigmentation since it wasn't showing up well on me. Then I realized it was simply because the shimmery pink mauve blended in so well with my skin! It adds a beautiful pink glow to my lids. Urban Decay Trick might do the same thing for warmer skin tones; it has a nicely pigmented orange-copper glow. 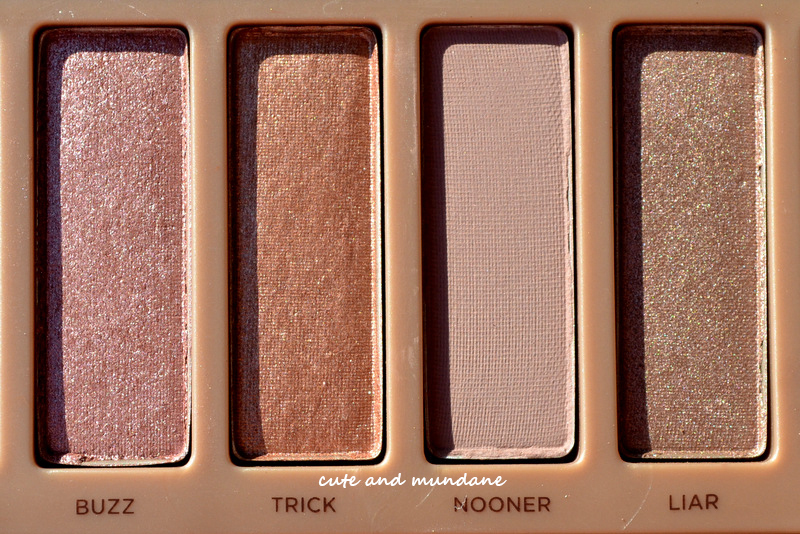 I already know that Urban Decay Nooner and I are going to be BFFs. This slightly cool mauve brown is a perfect blending color for me. Urban Decay Liar is a wonderful mauve-brown with a beautiful sheen. There is a wonderful range of medium to dark neutral shades in the palette; though they might not look it at first glance, they all have mauve to pink undertones. Urban Decay Factory is a brown with slight pink undertones and a satin finish. 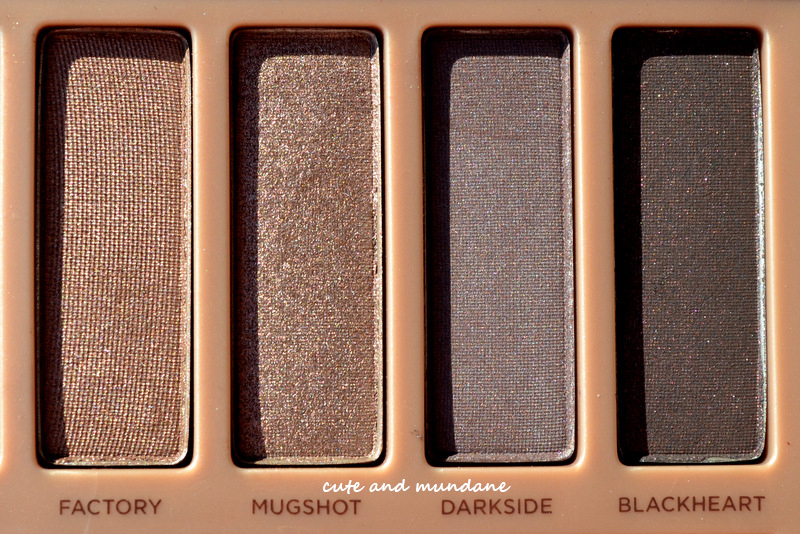 Urban Decay Mugshot is a taupe brown. Urban Decay Darkside is a mysterious looking grey-taupe that leans a bit mauve. Urban Decay Blackheart looks stunning in the pan. When blended out, the pearl is lost and I get a soft black liner shade instead. I've swatched all twelve shades from Urban Decay NAKED 3 below. The palette may look slightly warmer and less pink on me than others' swatches, as my skin naturally pulls out some of the pink tones. (Whereas, on warmer skin, the shades might actually look pinker and cooler). 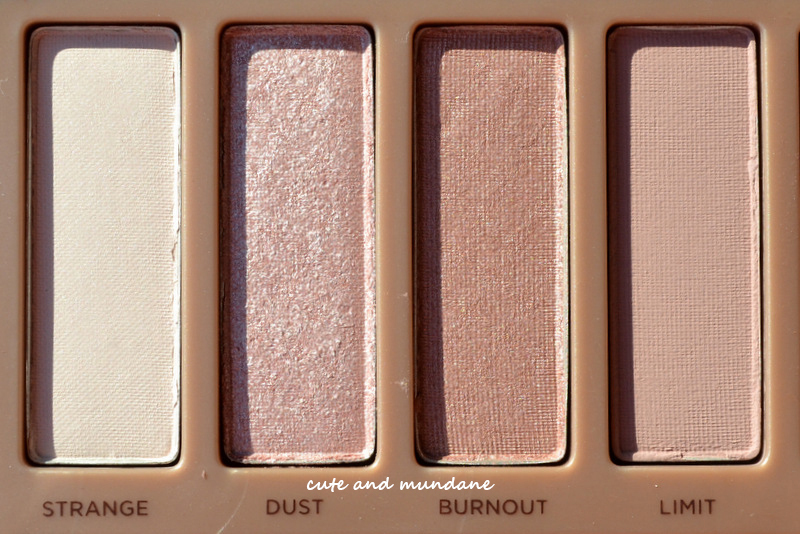 The verdict on Urban Decay Naked 3? For me, it's love. 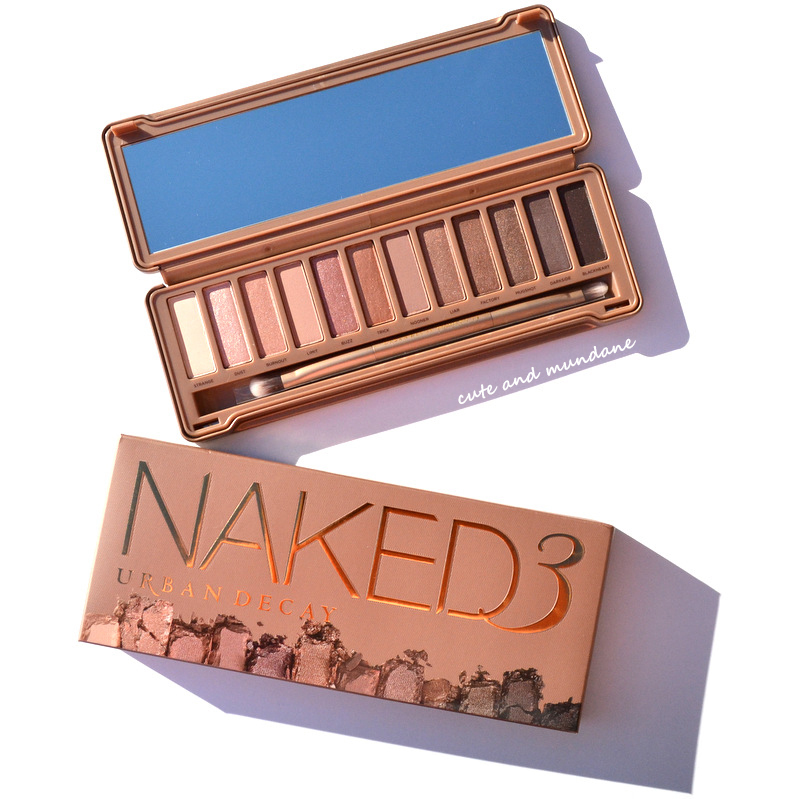 I could see Urban Decay NAKED 3 becoming my favorite of their palettes. 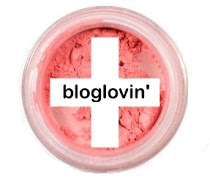 As I've mentioned, the shades seem to meld beautifully with my skin tone, and frankly, it's hard to find neutrals with rosy or mauve undertones (trust me, I'm always looking). My current favorite shades are Strange, Nooner, Buzz, and Blackheart. For others, I think it depends on your expectations. 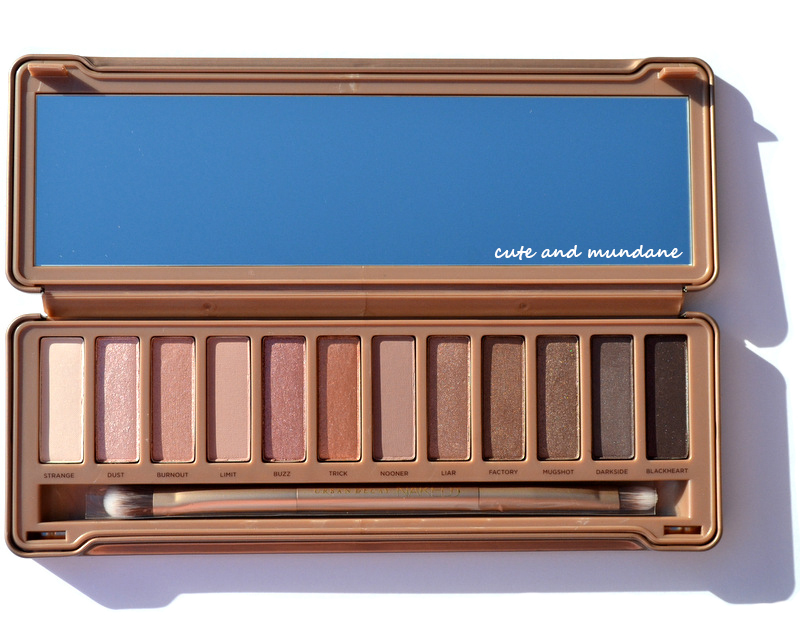 Urban Decay NAKED 3 is relatively neutral and should be wearable on most skin tones. It's a good fit for the current climate, when subtle pink tones are trending. However, as I've mentioned, even neutrals have trends (and trends do pass); it's something worth considering if you like to think long-term. Thanks for reading! 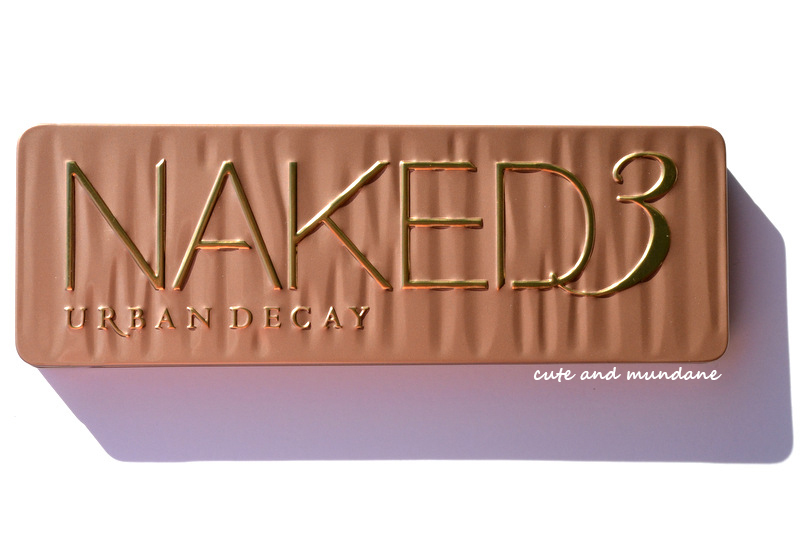 Have you tried Urban Decay NAKED 3? Which shades stand out to you most? Do you have a favorite out of the three NAKED palettes? P.S. 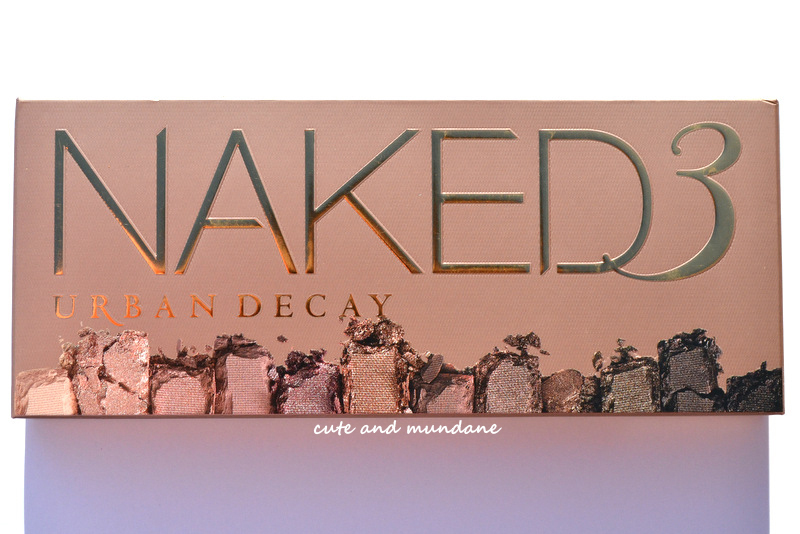 Click to check out reviews of Urban Decay NAKED 1 and Urban Decay NAKED 2! Happy New Year! There's something magical about January 1st - I just love the refreshing feeling of waking up to a brand new year, full of optimism and good will! It's also a great chance to reaffirm those old (and new) resolutions with a squeaky clean slate! Naturally, the colors I'm wearing at this new beginning reflect my sentiments. I've started 2014 with a couple coats of Essie Allure at my fingertips. 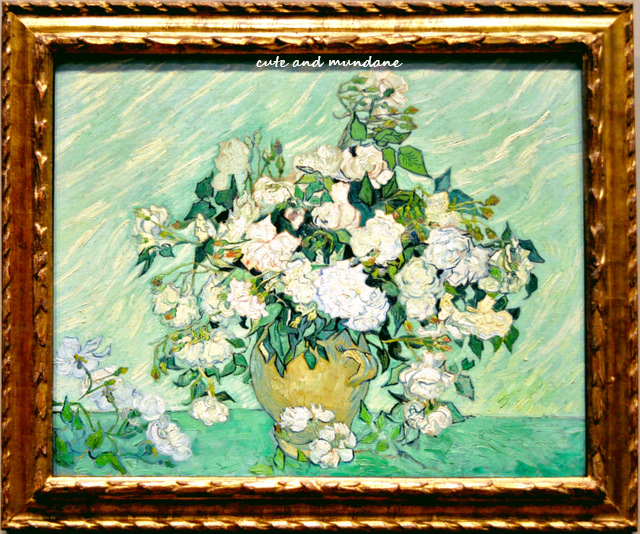 This sheer white was a wonderful rediscovery from my stash; it was gifted to me by a dear friend some time ago. I also decided it was high time to switch out my well-worn wallet. I went from hot pink to this gorgeous white grain Kate Spade wallet (thanks mom!). In terms of makeup, I'm keeping things minimal with just a dusting of CHANEL Poudre Universelle in 20 Clair, with a liquid eyeliner, mascara, and a little aquaphor on the lips. Thanks for reading! 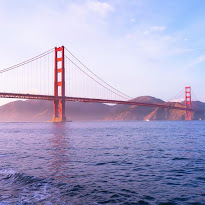 I hope your New Year is off to a wonderful start! What beauty products and/or accessories are you refreshing your routine with today?